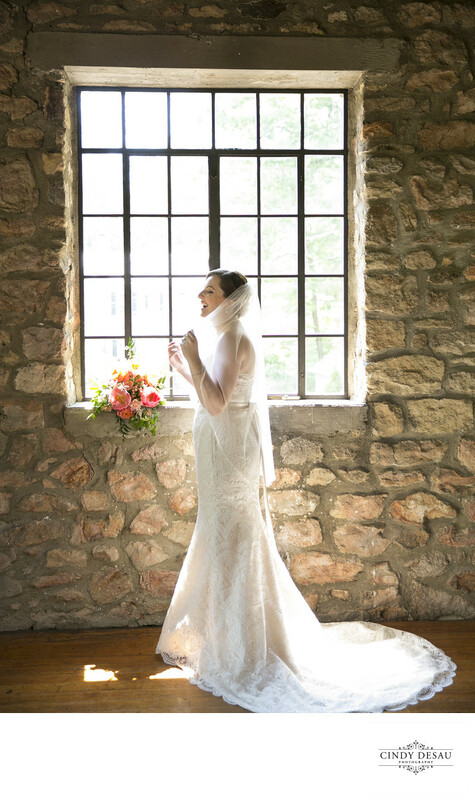 I posed this bride to take advantage of the natural light coming in through the barn window. I placed her bridal bouquet on the window sill. When I asked her to lightly hold her veil, she started to giggle. I snapped this picture of this bride enjoying our photography session on her wedding day.